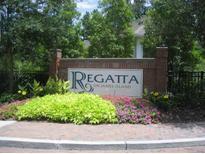 Below you can view all the condos for sale in the Regatta On James Island subdivision located in Charleston South Carolina. Listings in Regatta On James Island are updated daily from data we receive from the Charleston multiple listing service. To learn more about any of these condos or to receive custom notifications when a new property is listed for sale in Regatta On James Island, give us a call at 843-306-2224. 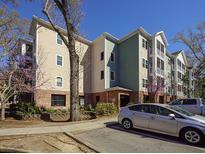 Pool, car wash, fitness center, and club house are there for your enjoyment. MLS#19007338. Carolina Elite Real Estate. The updated kitchen features quartz countertops, stainless steel GE appliances, 42'' maple cabinets, a large pantry and overlooks the open plan living/dining area. MLS#19006630. Carolina One Real Estate. Pictures are from another unit but represent the correct layout. MLS#19006380. Carolina One Real Estate. Master Bathroom Has Garden Tub 1.5 Car Garage With Storage Place. MLS#19003275. Abc Realty Inc. Listing Agent assumes no responsibility for correctness MLS#18028690. Carolina Elite Real Estate. This sought after gated community includes unparalleled amenities including a year round pool, outdoor grill, fitness center, clubhouse, and car wash station! MLS#18023345. Daniel Ravenel Sotheby'S International Realty. Tenant in place and would like to stay but owner states there is a 30 day out clause in the lease so we can close quickly. MLS#18018440. Carolina One Real Estate.